With an area covering approximately 212 square kilometres, 70% of Koh Chang is covered in rainforests, mountains and beaches. The highest peak on the island is Khao Salak Phet, rising from the ground at 743 meters, and given its mountainous terrain there is an abundance of waterfalls with the tallest but not always the most accessible being Klong Neung waterfall, which can be found in thesouth-eastern corner of the island. 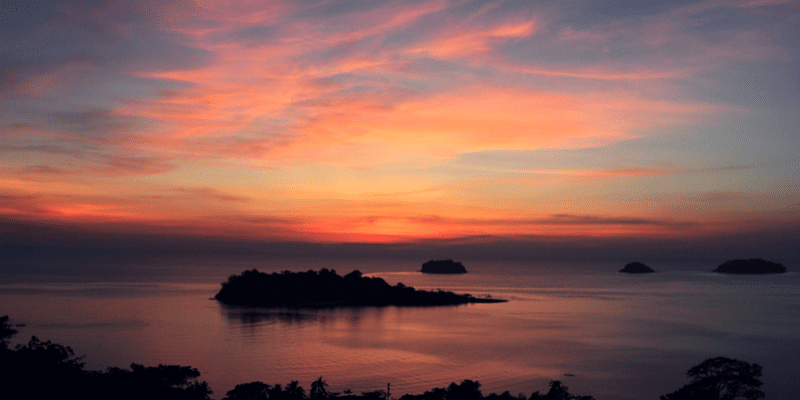 Koh Chang has three main seasons, the cool season runs from November to the end of February. This is when the island is at it’s busiest, with guaranteed daily sunshine, stunning blue skies and calm seas. If you don’t mind crowds, this is the ideal time to visit. During this time the average temperature is between 27C and 30C, you may experience the odd refreshing thunderstorm. The hot season follows the cool season and runs for 3 months, March to April. During these months the temperature is over 33C most days and along with the high humidity it can get uncomfortable. You’ll find yourself sweating when standing still. The months of April and May are also the usual holiday months for Thais, so the tourist areas of the island can still be busy. Especially during Songkran, Thai New Year, which is from 13 – 15 April. If you happen to be around for the Songkran celebrations don’t be surprised to find water being thrown at you, this is all part of the ‘Songkran’ celebrations and also a great way to cool down in the scorching heat. Be sure to keep your camera, phone and passport in a waterproof bag. The last season is the rainy season, starting towards the end of May, the rains carry on until the end of October. 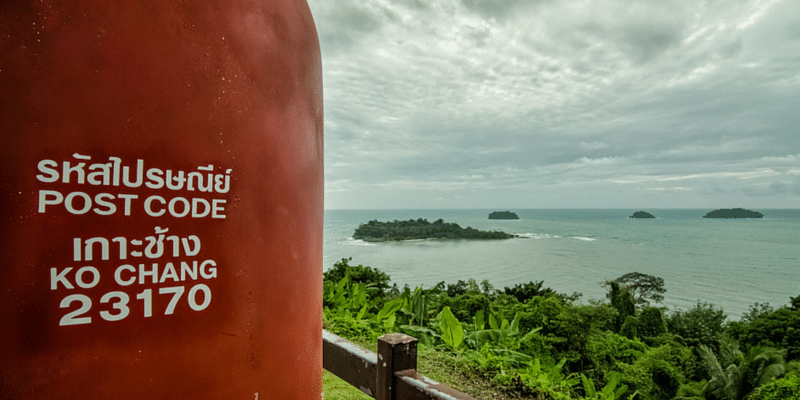 During these months tourism on Koh Chang drops off, as do the prices of accommodation, and while the weather is unpredictable it still can be a great time to visit the island. The island is much quieter, the prices are lower and the rainforests are lush green and full of life. It’s the ideal time to visit for people who just want to chill out and enjoy some peace and quiet. even White sands beach, the busiest beach, is calm. How to Get to Koh Chang and Get Around? Coming from Bangkok, there are numerous transport options. There isn’t one which is ‘best’ as that depends on your own budget and preferred style of travel. At the top end of the price range, the quickest but also most expensive option is to fly on Bangkok Airways to Trat. 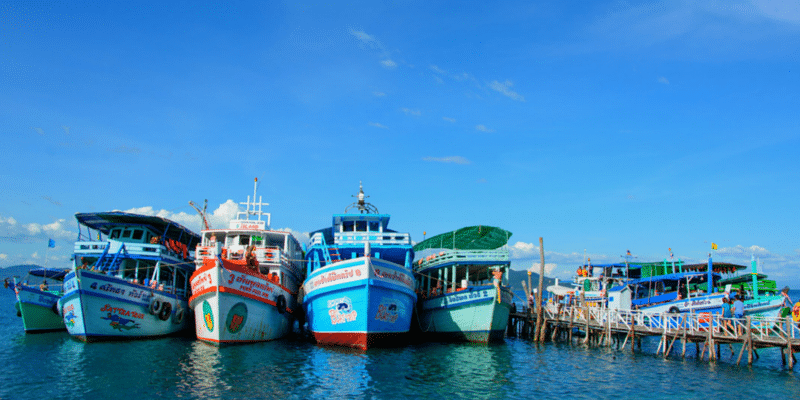 Whilst for people who prefer to see some local life on the way taking the bus from Ekkamai Bus Station, Bangkok to one of the mainland piers in Laem Ngop is the cheapest means of getting to the island. A one way ticket on an airconditioned bus is around 260 Baht (That’s just 6 EUR.). Ferries to the island run regularly from 06:30 – 19:30. You’ll find more details including transportation by private car or shared minibus here. Getting around the island is fairly easy and straightforward. The main mode of transport is by songthaew ( pick-up truck taxi ) they run from the ferry terminal stopping at all the beaches along the West Coast of the island, but they rarely leave unless full. You can catch a songthaew day or night to get around, but be aware that prices increase after around 22:00. Another option is to rent a motorbike, there are literally hundreds of places to rent scooters and all at very reasonable prices. Figure on 150 – 250 Baht / 24 hours. You will have to provide your driving license and passport upon rental of the motorbike. If you’re wanting to escape the tourists and have more of a peaceful experience on Koh Chang, then head to the eastern side of the island. The eastern side is less developed and more isolated than the West. You will get to experience true local life on the island around the fishing villages and get out into the lush green countryside to explore the jungle and majestic waterfalls hidden in its interior. To get around the eastern side of Koh Chang you will need your own transport due to the lack of public transport. Rent a scooter and go and explore, you won’t regret it. Koh Chang use to be well off the beaten path and only visited by the hardened backpacker, and although the island has seen a big increase in development and tourism in the last 10 or so years due to the Thai government trying to develop it, it is still not on the same level as the southern islands such as Phuket or Koh Samui. 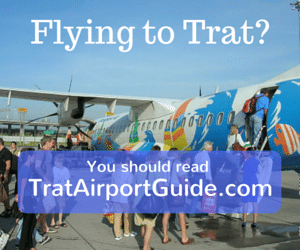 With an airport located just 20 kilometres away from the ferry terminal in Trat, Koh Chang is easier to get to than ever before. There are three daily flights from Bangkok’s Suvarnabhumi Airport on Bangkok Airways. International travellers are being drawn to Koh Chang’s white sandy beaches and luxury hotels, but don’t be put off from visiting the island if your on a budget as it’s still an affordable place to stay for families and backpackers. There is an extensive range of accommodation available to suit every need and budget. The choice of accommodation is vast, which is not surprising considering how large the island is. You will be able to find anything from luxury private villas, right down to budget beach huts and everything imaginable in-between to suit your needs and budget. 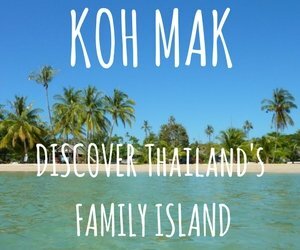 The most popular areas are on the West coast of Koh Chang is White Sand beach and Lonely beach. White Sand beach is the most popular on the island and so attracts the highest amount of tourists. Found towards the north of the island, here you will find some of the islands best resorts such as KC Grande Resort, on offer alongside some good mid-range beachfront accommodation such as the popular Cookies Hotel. Klong Prao and Kai Bae beaches are great options for families. They boast a mix of large 4 star resorts and mid range bungalows. Some of the islands best resorts, such as Emerald Cove Resort, Gajapuri Resort or The Chill are in this area in the centre of the west coast of the island. Lonely beach can be found heading towards the south of the island. This is also where you will find the majority of backpackers, attracted to the many budget accommodation options and daily parties during the high season. Some of the better places are Nature Beach Resort, Warapura Resort and Oasis Bungalows. 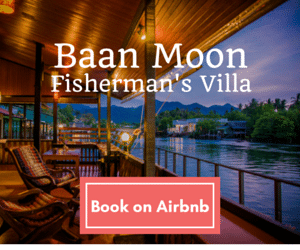 If you’re on a budget but wan’t somewhere quieter than lonely beach, Bailan is a popular spot with many small, mid-range bungalow resorts clustered in the centre of the small village. Finally, way down on the south coast of the island you’ll find the chilled, Klong Kloi beach which has great views to the islands south of Koh Chang. There’s everything from budget huts for a few hundred Baht a night to 5 star luxury at Chivapuri Beach Resort. If the above two places haven’t taken your fancy then two other popular choices on Koh Chang are Klong Prao Beach and Kai Bae Beach. If you head to Klong Prao Beach you will find upmarket large scale resorts like The Emerald Cove and The Dewa, so a good place to be if your on a flexible budget. If your pockets are not so deep, head up towards the Northern end of the beach, here you will find cheaper beach front accommodation to suite smaller budgets at Chai Chet Resort or Koh Chang Resort. Kai Bae Beach has a relaxed feel about it and has recently gone up a level in the accommodation stakes and is home to some exclusive resorts like AWA Resort, Gajapuri Resort and The Chill which are all serious contenders to being the best on the island. Towards the Southern end of the beach are the still popular smaller resorts and some budget bungalows such as The Garden Resort and Sea Breeze. 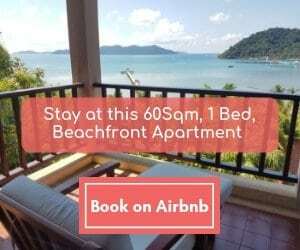 Plus beachfront resorts owned by members of an extended local family – KB Resort, Kai Bae Hut Resort and Kai Bae Beach Resort are all worth considering for a good value beach bungalow. 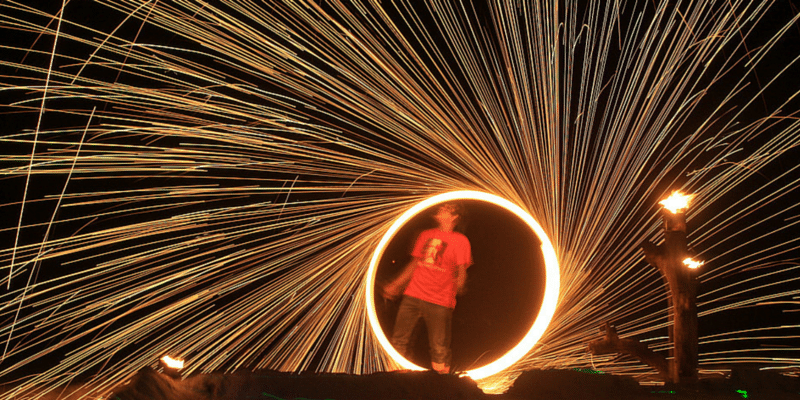 There is more to Koh Chang than just the luxury resorts and stunning beaches. If you’re an adventurous type and don’t particularly enjoy spending all your time on the beach, then this island has a lot to offer. Some of the most popular activities on Koh Chang are kayaking, jungle trekking and diving and snorkelling. Another highlight is visiting the many waterfalls located throughout the island. 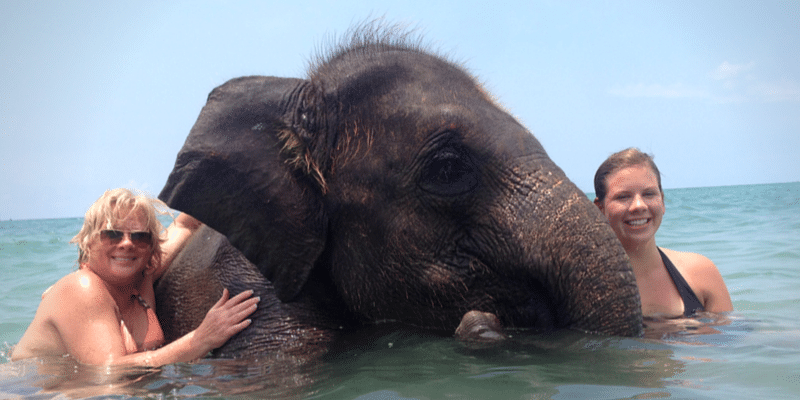 For something more laid back why not take a Thai cooking class, ride on the back on an elephant on a jungle trek and then end the day with a relaxing massage in one of the many spa’s on the island. And if you have time then why not head south to Koh Mak or Koh Kood for a few days chilling on laid back, vehicle free, islands.